BRUSSELS: The European Union will on Wednesday present its new 13-billion-euro defence fund, but conditions for taking part will shut out "third countries" including post-Brexit Britain and the United States, officials have told AFP. The European Defence Fund (EDF) is a major plank of the bloc’s strategy to boost its ability to guarantee its own security, as it frets about the threat from Russia and the United States´ apparent ambivalence under President Donald Trump. The money it offers for research and development when it starts in 2021 will only be available to EU member states -- not Britain, which will have left by then, and not the United States. To qualify for EDF funding, "companies will have to be based in the European Union, have their infrastructure in the European Union and above all, decision-making cannot be controlled by an entity based outside the European Union," an EU official told AFP, speaking on condition of anonymity. This means a European subsidiary of a US defence manufacturer for example could not receive financing from the EDF. These conditions will also apply to Britain, which is leaving the bloc in March next year, another official confirmed to AFP -- unless London negotiates a special defence cooperation deal. This is despite Britain saying it wants security cooperation with the EU to be a key part of the two sides´ future relationship. "Countries that are not members of the EU and the EEA (European Economic Area) will not be associated to the Fund unless a specific agreement is concluded to that aim," the second official said. "The programme is designed to apply as of 1 January 2021 and therefore for a Union of 27 Member States." Since the EU launched its defence cooperation pact in December, there have been US concerns that it would become a protectionist vehicle used to shield European defence companies such as France´s Dassault from American competition. But Brussels insists there is no unfairness, with one official saying: "It is normal that European money goes to European companies". "These conditions are not discriminatory. This is about reciprocity. 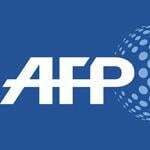 To benefit from US funds, firms have to be based in the United States, exclusively employ American personnel and no information can go back to the parent company if it is not based in the United States," the official told AFP. European officials say the EDF will help free the bloc from dependence on the United States and add to its "strategic autonomy"